What about the male gender? Part #1: Boys. I hope everyone had a magical Christmas – especially if there were little ones amongst the celebrations. It feels like Christmas is the last frontier of innocence. Lately, I’ve been thinking a lot about the sons being raised in this current climate, as they are being bombarded with the same damaging images and ideals. These lead boys and young men to feel pressure; to work out who they are in this world. However, the pressure to conform to social norms, especially in this current pop-culture, is seeing our boys being demonised for having any ‘feminine’ traits and are subsequently pigeon-holed into a small corridor of what it means to be all ‘man’. The biggest issue is (obviously), how this is being represented – especially in the places our youth gravitate towards – watch – and learn. This is when neural pathways are formed and entrenched. A curious point: When I was young (the 70s), I used to feel sorry for boys. They couldn’t do what we could do – we could wear the same things as boys AND dresses and we were encouraged to play with whatever we wanted. They couldn’t play with dolls. They’re still not encouraged – not ‘manly’ enough, it seems. A very sad testament to our intelligence, that we keep teaching the same stereotypes; continually being pushed. As one of two daughters, I found that my father had a positive influence on my sister and me – opening up another world. We played with toy cars, had a train set and a figure 8 race car track, Dad showed us how car engines worked and we rode mini motorbikes and three-wheeled trikes. This just added to the rainbow of how we played and developed, on top of our world of dolls and other ‘girly’ pursuits. You probably would have categorised us as ‘Tomboys’. My maternal grandmother was one. So was my mother. At the time, and as I grew, I wore the label with pride – but not anymore. I just think I was being me. I look at my two daughters now and I see more of the same. My 6 year old LOVES cars and Spiderman. My 10 year old LOVES dinosaurs and space. They also love playing with their dolls and ‘cooking’, are sporty, draw, play Lego etc. but it’s the wonderful mix that’s important. 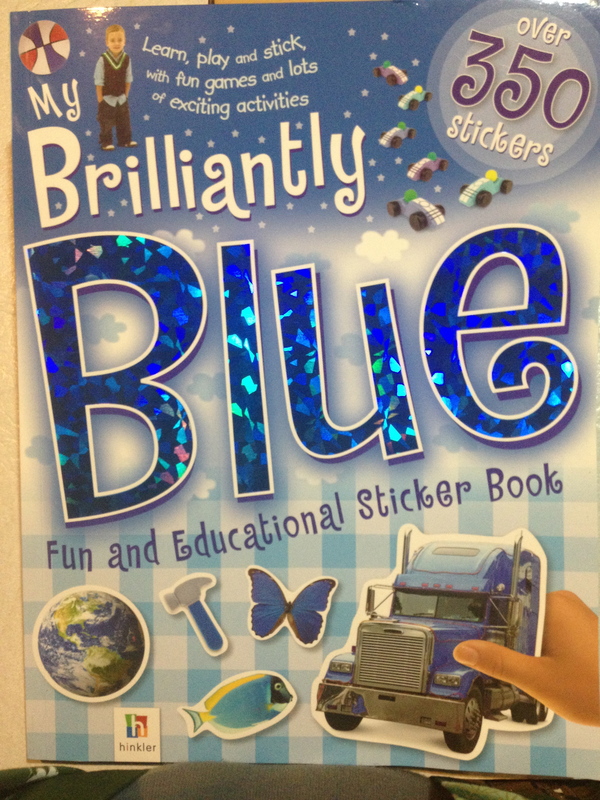 Funnily enough, my sister got a sticker book for my 6 year old (sticker nut) for Christmas and had to get her the ‘boy’ book which is called ‘Brilliantly Blue’ and has a little photo of a boy on the cover. It’s HEAPS better than the ‘girl’ one – in that it better matches my daughter’s likes and interests. Buying presents this Christmas for kids was quite disheartening, as the girls were saturated in pink, dolls, prams, easy-bake ovens etc…all with photos of girls only enjoying the toy. Boys will turn into men, who may have children. Boys will turn into men who can, and do, cook. So why is it discouraged? More importantly, what is being encouraged through boys’ toys? Question #125: When will we do something about how our children’s lives are being directed towards stereotypical and limiting likes, wants and lifestyles?